The passing of 2011’s Surly Bill, which allowed smaller breweries to sell on site at their own tap rooms, has led to a third boom of brewing in Minnesota. Today, dozens of breweries are offered throughout the Twin Cities region and beyond, with craft microbreweries offering unique beers and company concepts, including brewery co-operatives and create-your-own-brew programs. 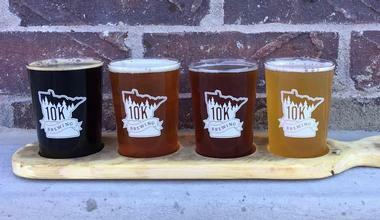 10K Brewing’s name is a reference to its location within the “Land of 10K Lakes,” a statement reflecting its commitment to Minnesota values and hospitality. The family-owned brewery has been featured on The Tonight Show with Jimmy Fallon and has been the recipient of a number of regional awards, including the Autumn Brew Review’s 2016 and 2017 awards for best brewery. New beers are brewed each week at the company’s three-barrel brewhouse and tap room, with pints and growler fills offered for sale Tuesdays through Sundays. An extensive rotation of brews are tapped periodically, ranging from classic styles such as hefeweizens and altbiers to fruit-forward IPAs and cream ales and unique one-offs such as the brewery’s reduced-gluten stout or The Worst Beer We Ever Made sour Scottish ale. Free food delivery is offered from the adjacent MaGillycuddy’s Irish pub restaurant. 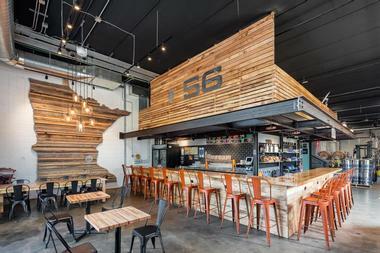 56 Brewing is a Northeast Minneapolis microbrewery and tap room founded in 2015 by master brewer Kale Johnson and a collaborative team of brewers and beer enthusiasts from the Minneapolis region. The company’s brewers strive to “make beer we like to drink,” offering unique, drinkable ales for the local community to enjoy. It follows a community-supported brewery co-operative business model, allowing brewery members to purchase beverages at an exclusive discount, and serves ales in a converted industrial space that has been transformed with a focus on “Garden-to-Growler” synergy with its environment and nature. Beers such as the brewery’s Nose Hair Bender American IPA and NE Nectar Ale are made with local hops and indigenous herbs and spices to reduce the brewery’s carbon footprint. 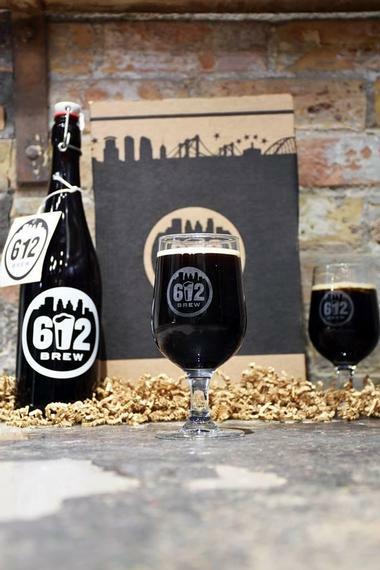 612Brew was opened in 2013 by co-founders Ryan Libby and Robert Kasak, making it one of Minneapolis’ oldest modern microbreweries. The brewery utilizes a 15-bbl steam-powered brewhouse and six fermentation tanks to craft hop-forward, highly drinkable brews. Core styles include the brewery’s Unrated Rye IPA, Gateway Park Pre-Prohibition Lager, and Session Dark. Taproom exclusives are also offered, including a constantly-rotating line of test batches, experimental infusions, and revived retired styles selected at the brewer’s choice. 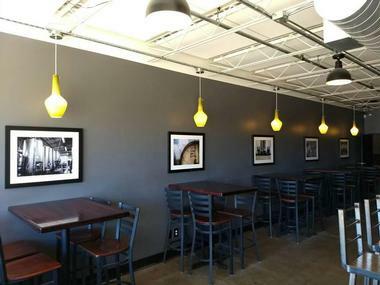 Its tap room offers pints and growler sales, along with a spacious seasonal outdoor patio and private gathering room, The Cellar, which can host parties for up to 50 people. Food truck pop-ups are hosted most days at the tap room, with public special events such as beer yoga and pet-focused events held periodically. 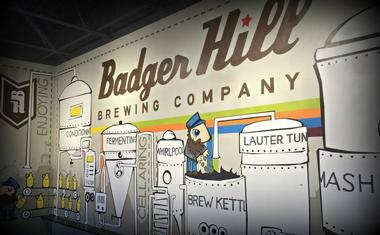 Badger Hill Brewing is operated by brothers and co-owners Broc and Brent Krekelberg and shares its Shakopee brewhouse facility with Minneapolis brewpub Finnegan’s in a cooperative brewing agreement. 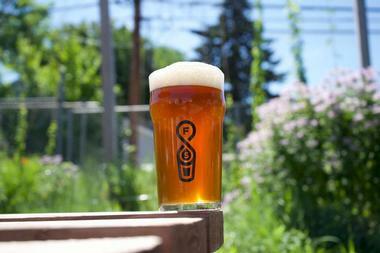 The brewery produces a wide variety of small-batch beers, including its flagship Minnesota Special Bitter ale, a unique recipe utilizing four varieties of American and European hops, and its Foundation Stout, which pays homage to Irish and English stout styles and creates an aromatic flavor reminiscent of coffee. 10 rotating beers are showcased at its tap room, including a nitro offering. Pints and growler sales are available, with rotating food truck pop-ups hosted on site. A dog-friendly patio is offered for well-behaved pets, and treats such as popsicles are available for supervised children. Bang Brewing Company was opened in September of 2013 by brewers Sandy and Jay Boss Febbo and originally offered a single beer offering, its Neat single-hop American pale ale. For several years into its tenure, the brewery offered a single year-round selection, with its flagship brew rotated periodically. Today, the brewery has expanded to offer several flagship brews, including its Minn American mild and Nice St. Paul Dark Ale. Its brewhouse and tap room reflects its minimalist ethic, founded on principles of environmental stewardship and utilizing energy-efficient technologies. All brews are made exclusively with organic ingredients, and dog-friendly patio seating encourages visitors to enjoy beers in a natural light setting. Beaver Island Brewery was founded by homebrewers Matt Studer and Nick Barth and strives to create memorable beers with thoughtful twists that engage and unite the St. Cloud community. Year-round brews offered at the brewery include their Ripple German Ale, ‘39 Red IPA, Revival Coast-to-Coast IPA, and Sweet Miss Chocolate Oatmeal Milk Stout. Limited releases focus on unique style and flavor profiles, including releases such as the brewery’s Soaked Revival Spanish Orange Ale and releases within the River Hopper Expedition IPA series. Well-behaved pets are welcomed on the brewery’s taproom patio, and private special event rentals are available for corporate and community events. Brewery tours may also be scheduled upon request. 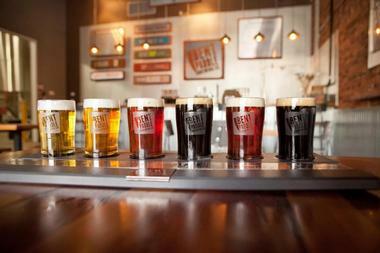 Bent Brewstillery is owned and operated by Bartley and Brenda Blume and operates as a combination brewery and distillery, striving to bring the principles of experimentation and high-quality preparation prioritized in the craft microbrewing world to the practice of crafting fine liquor. 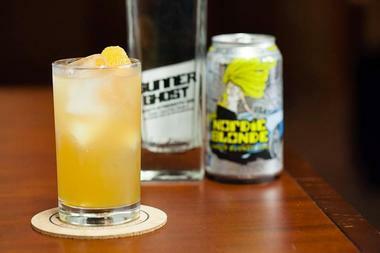 Liquors emphasize similar flavor profiles to craft beers, with variants available such as the company’s Double IPA-Skey hopped whiskey, Gunner Ghost Navy-strength gin, Flamebringer hot pepper-infused rum, and Coffee Stormbringer rum-infused cream liqueur. Several year-round beers are also offered, including the company’s Nordic Blonde Amber Blonde Ale, ENUFF IPA, and Nicked Double Stout. Food trucks are available periodically at the company’s pet-friendly tap room, with visitors encouraged to order their own food for delivery from local restaurants. Bent Paddle Brewing Company was opened to the public in May of 2013, founded by couples Karen and Bryon Tonnis and Colin and Laura Mullen. The pairs brought extensive brewing experience to the company, including Bryon’s tenure as head brewer at Minneapolis’ Rock Bottom Brewery. Its name is derived from the brewers’ love of canoeing, which resulted in Bryon’s use of a bent canoe paddle to mix brewing mash in his personal brewing efforts. The brewery has been named as Minnesota’s best new brewery by the Minneapolis Star-Tribune and has received medals at the Great American Beer Festival, including a 2017 gold medal for its 14° ESB. Other core brews include the company’s Kanu Session Pale Ale, Venture Pilsner, Bent Hop Golden IPA, and Cold Press Black Coffee Ale. Big Wood Brewery is a White Bear Lake brewery opened in 2009 by Steve Merila and Jason Medvec. It is best known for its award-winning Morning Wood Coffee Stout, which earned the brewery a reputation for suggestively-named ales and lagers. Other popular brews include its Jack Savage American Pale Ale, Dr. Azacca Single-Hop Pale Ale, Fine! and Wicked Ex IPAs, and Amigo Grande Mexican-style Lager. 10 rotating taps are offered at its tap room, along with kombucha and root beer options. 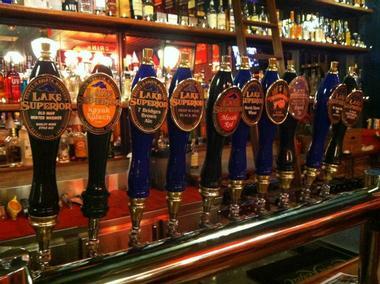 Beers are rotated weekly to allow for maximum variety of styles. 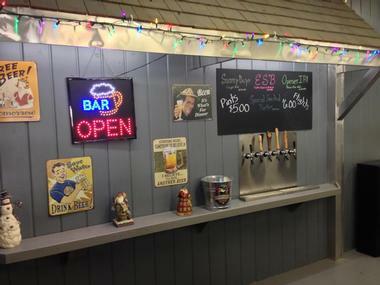 The brewery’s wood-paneled tap room offers a dog-friendly patio and a variety of bar snacks, with visitors welcome to order their own food for delivery from a number of local restaurants. 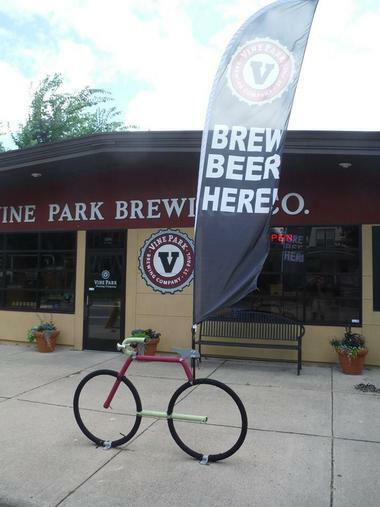 Public special events include live music performances, beer tastings, and beer release parties. 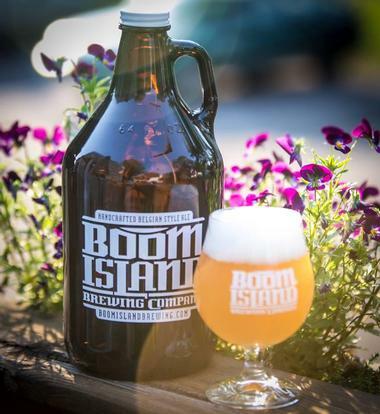 Boom Island Brewing Company is the result of brewer Kevin Welch’s obsession with Belgian-style ales, which has evolved over the years after many trips to Belgian breweries, including side-by-side brewing internship and study with some of the nation’s top brewers. The Minneapolis company was founded in 2001 and is a family-operated business, co-owned by Welch’s wife Qiuxia and her parents. Year-round brews offerings the company’s Hoodoo Dubbel, Brimstone Tripel, Django Hop Bier, and Witness Witbier, with seasonal and one-off offerings focusing on styles such as Belgian pale ales, saisons, and barrel-aged sour and experimental beers. The company’s Boom Room tap room is open Wednesdays through Sundays and offers happy hour specials and growler fills. Burning Brothers Brewing is operated by childhood friends Dane Breimhorst and Thom Foss, whose shared love for homebrewing was complicated after Breimhorst’s diagnosis with Celiac disease. For the following three years, the pair committed themselves to crafting gluten-free beer recipes with an emphasis on expanding the variety’s craft and taste options. 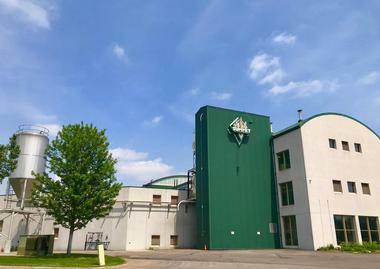 Today, all of the brewery’s beers are made in a dedicated gluten-free facility, ensuring that no traces of wheat, barley, or rye are incorporated into beverages. Year-round offerings available in cans and on draft at the brewery’s tap room include the company’s Pyro American Pale Ale, Roasted Coffee Strong Ale, Raj-agni IPA, Fused Orange Blossom Honey Ale, and Scorched Coffee IPA. A custom-designed bar adorns the brewery’s tap room, which cultivates a family-friendly environment and hosts rotating food truck pop-ups and guest taps. Fair State Brewing Cooperative is a unique community-owned co-operative model, encouraging Minneapolis citizens to become brewery members in exchange for discounted and exclusive brews. In 2015, the cooperative was named as one of Ratebeer.com’s top 10 best new breweries in the world, and in 2018, the brewery was named as Minneapolis’ best brewery by City Page. Top-rated beers include the brewery’s classic Vienna Lager, which has received a perfect score rating from Ratebeer. Other unique brews include its Pahlay’ahlay Pale Ale, Mirror Universe Hazy IPA, and Pucker Pack Mixed-Fermentation Saison. Specialty bottled beers are also available in the brewery’s tap room, which is open seven days a week and highlights special events such as trivia nights and beer release parties. Flat Earth Brewing Company occupies the commercial space that once belonged to Hamm’s Brewery, which was one of America’s largest beer companies throughout the mid-2oth century. 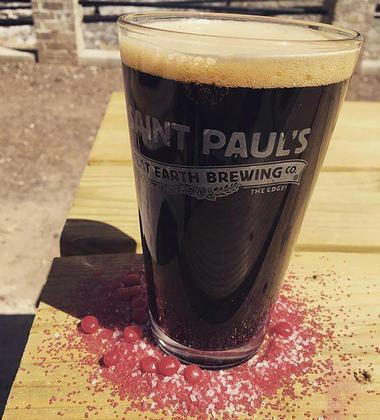 The company was founded in 2007 and is operated by John Warner, committed to brewing beers that honor the local St. Paul community’s ethos and roots. Its popular beers today feature names playing off of conspiracy theories, urban legends, and scientific and anthropological concepts, including its Cygnus X-1 Porter, named for the scientific designation of a black hole, and its Ovni Ale, a biere de garde referencing 1902 damage to the Eiffel Tower that many believe may have been caused by a UFO strike. The brewery has also concocted specialty beers for local special events, including a Hep Cat Blonde Ale, brewed for the Saint Paul Jazz Fest, and a Red Cape Irish Red Ale, brewed for the Vulcan Krewe of the Saint Paul Winter Carnival. HammerHeart Brewing Co. is a Lino Lakes brewery that was opened by brothers-in-law Nathaniel Chapman and Austin Lunn in 2013. 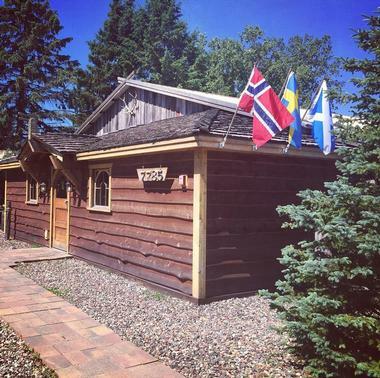 The Nordic-inspired brewery is modeled after Norwegian brewery Haan Bryggeriet, taking it name from the Viking-style album of the same name by Swedish heavy metal band Bathory. Beers honor Norse and Celtic mythology and history and are brewed according to Old World tradition, with an emphasis on less-popularized Scandinavian and Northern European styles. Popular rotating beers on tap include the brewery’s Weltenwanderer Smoked Lager, Gessik Finnish Sahti, Sif’s Locks Oak-Smoked Grätzer, and Dublin Raid Peat-Smoked Red Ale. Craft kombuchas and non-alcoholic sodas are also available, including several flavors of Whistler classic sodas. Food trucks are parked on site most weekends, and Von Hanson’s Pretzels are served as bar snacks. Kinney Creek Brewery is Rochester’s first new brewery since the Prohibition era, when its final historic brewery was shut down in 1922. The brewery was opened by Donovan Seitz on the anniversary of Repeal Day and offers creative craft brews, striving to create a community atmosphere at its brewhouse and tap room facility. 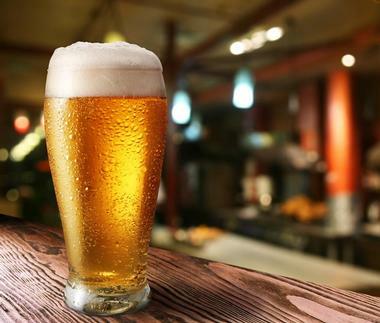 Popular brews tapped include the company’s Minnesota Mild American Pale Ale, Simillation IPA, Chasm Chocolate Milk Stout, and Estupendo margarita-style lime lager. Barrel-aged and imperial variants are also tapped, along with non-alcoholic craft root beers and kombuchas. Rotating food truck pop-ups are hosted on site periodically, with monthly brewery tours presented depending on brewery availability. Other special events include weekly themed trivia nights and an annual Kegs and Barrels Fest, presented in conjunction with LTS Brewing Company. © Lake Superior Brewing Co.
Lake Superior Brewing Co. is Minnesota’s oldest currently-operating microbrewery, offering award-winning craft ales distributed throughout the Great Lakes region. Its flagship brews include its Kayak Kölsch, Deep Water Black IPA, and Sir Duluth Oatmeal Stout, an English-style oatmeal stout named for French explorer Daniel Greysolon, Sieur dh Lhut, that has received a gold medal from the World Beer Championships. Other seasonal brews include its Mesabi Red Ale, named for the Ojibwe name for the local mountain range, and the non-alcoholic family favorite Roller Root Beer, which is sold at local Whole Foods Markets. A tap room offers pints, live music, and local photography displays and can be visited as part of Duluth Experience brew bus tours. LTD Brewing Co. was founded in 2003 by two University of Minnesota students and homebrewers, who began developing their own recipes as a low-cost alternative to wide distribution beers. Today, the brewery is known for its avant-garde, experimental ethic, with its name standing as a reminder of its small-batch philosophy embracing unlimited brewing possibilities. A constantly-rotating beer list is offered at the brewery’s tap room, with favorites on tap such as its Patio Slammer IPA series and Emily’s Dream experimental sour series, along with one-offs such as its Be Like Mike Milkshake Porter and Smooth Operator Cream Ale. A house-made craft root beer is also served, along with a variety of rotating cask ales on nitro. Regular special events at the brewery include charity-funding Give Back Tuesdays, trivia nights, live music performances, and Sunday afternoon brewery tours. 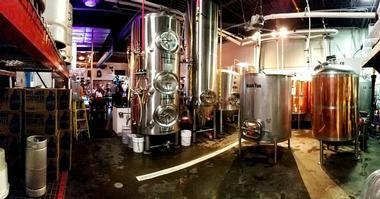 LTS Brewing Company is a Rochester microbrewery that was founded in 2013 by homebrewers Brandon Schulz and Jeff Werning. Today, the company is known for its craft small-batch ales and lagers and emphasizes its commitment to its local community. An extensive list of seasonal and one-off brews are tapped at its tap room, including its Karma Kölsch, FUN Belgian-style Blonde Ale, Inspiration IPA, El Dorado Golden Ale, and Bumbler Brown Porter. Five gluten-free, dairy-free, and caffeine-free craft sodas are also tapped, available in rotating flavors such as orange cream, black cherry, honey lemonade, and butter beer. Free popcorn is served at the tap room, along with bar bites such as hummus platters and charcuterie boards. Rotating food truck and local pizza company pop-ups are also hosted periodically, along with beer release parties, trivia nights, and live music performances. 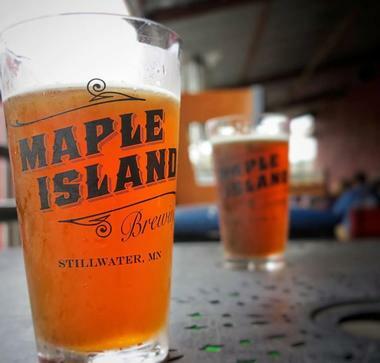 Maple Island Brewing is a Stillwater craft microbrewery and tap room that is owned and operated by Frank Fabio and brewmaster Nic Brau. It is housed within a historic downtown Stillwater building that was formerly the home of Maple Island Creamery and was opened to the public in 2013, developed as a public business extension of Fabio’s fire and water restoration corporation housed within the same building. 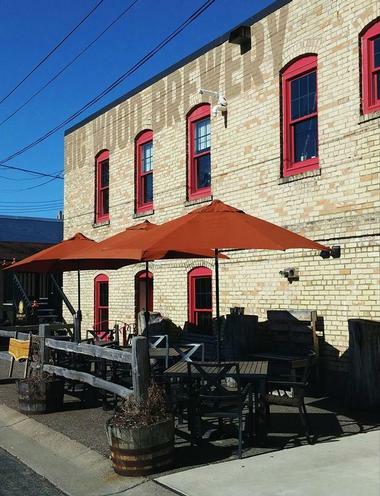 Brews emphasize locally-sourced ingredients, including favorites such as the brewery’s St. Croix Valley Pilsner, Smash IPA, Sandbar Summer Ale, Apricot Hefeweizen, and award-winning Freakshow Imperial Stout. Many beer and non-alcoholic soda offerings by the company utilize ingredients from other local food companies, including its I Scream brew, showcasing Nelson’s Ice Cream, and its Maple Island Bock and Maple Root Beer, highlighting Sanderson Family Maple Syrup. Public special events at its tap room include Ukulele Nights, live music performances, and Dog Days of Summer pet-friendly events. 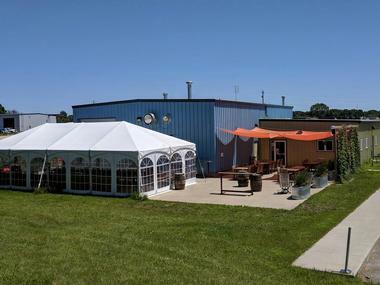 Steel Toe Brewing was opened in 2011 by Jason Schoneman, Joe Muggli, and Ron Olney. The brewery’s name is a reference to Schoneman’s habit of wearing steel-toed boots, a reference to his work ethic and passion for crafting quality, enduring products. Bottles and cans of its flagship Provider Golden Ale, Size 4 India Session Ale, Size 7 IPA, Rainmaker India Red Ale, and Dissent Dark Ale are available at the brewery’s tap room and throughout the Minnesota region. 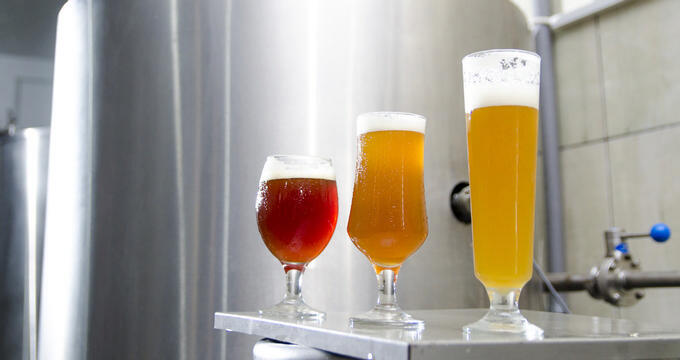 Other specialty and seasonal brews include an experimental IPA series, a barrel-aged series, and a Brewer’s Evolution series, which features beers that have received medals from the Great American Beer Festival and the World Beer Cup. The brewery’s tap room is open seven days a week and hosts periodic food truck pop-ups, along with a dog-friendly seasonal patio. Summit Brewing Company is one of St. Paul’s most popular breweries and is among the top 30 largest craft brewing companies in the nation, producing an annual capacity of 240,000 barrels. The brewery was started in 1986, making the region’s first new brewery since Prohibition. Its brews have been the recipient of multiple awards at the Great American Beer Festival and are available in distribution in five states. Seven year-round brews are offered, including recent releases such as the company’s Summit Dakota Soul Czech-style Pilsner, Summit Keller Pils German-style Pilsner, and Summit Skip Rock White Ale. Its public Summit Ratskeller tap room offers a seasonal outdoor patio and brewery tours, along with a gift shop selling licensed brewery merchandise. 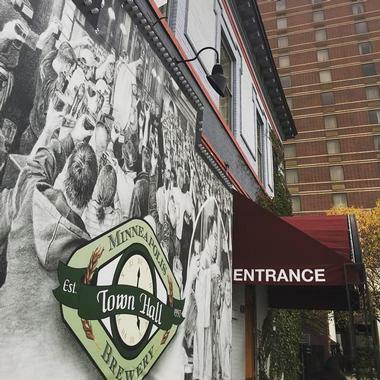 Town Hall Brewery is a Minneapolis brewery that has been offering craft microbrews since 1997, continuing a tradition of brewing in a facility that formerly housed 1906’s Seven Corners Brewing. The company was founded by childhood friends Pete Rifakes and Scot McClure and has received more medals at the prestigious Great American Beer Festival than any other brewery in the state. 20 of its beers are tapped at its tap room, along with an extensive list of guest brews, wines, cocktails, ciders, and whiskies on tap. Favorite brews include the brewery’s Dortmunder Local Export Lager, West Bank Pale Ale, Masala Mama IPA, Hope and King Scotch Ale, and Black H2O Oatmeal Stout. Classic pub fare is served at its brewpub facility for lunch, dinner, and late night snacks. Since 2013, the brewery has also operated the adjacent Town Hall Lanes bowling alley. 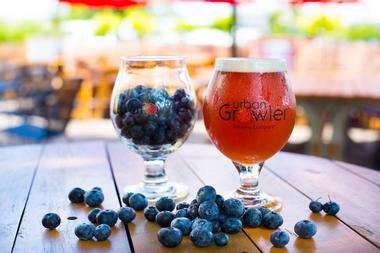 © Urban Growler Brewing Co.
Urban Growler Brewing Co. is Minnesota’s first exclusively female-owned brewery, founded in 2014 by friends Deb Loch and Jill Pavlak. The brewery specializes in traditional beers with unique local twists, including its flagship Cowbell Cream Ale, Kentucky Uncommon, De-Lovely Porter, Midwest IPA, and Golden Hammer IPA. Seasonal specialties include a Plow to Pint series, highlighting farm-to-table ingredients, and a Hayloft Series that showcases unique international styles. The brewery’s tap room, kitchen, and seasonal beer garden is open six days a week, serving locally-sourced American fare and offering brews on tap. Tours are available upon request with at least two weeks advance notice. Special events at the brewery include a summer farmer’s market and a Tunes on Tap live music performance series. © Vine Park Brewing Co.
Vine Park Brewing Co. is a unique concept brewery that allows guests to create their own beer brewed on site with the supervision of the company’s brewers. The company has been in operation since 1995 and is the Midwest’s only brew-your-own-beer facility, as well as the only Hmong-owned brewery in the world. Guests may make online reservations for brewing times on the facility’s website, then create their own unique brew variants and return two weeks later to cap and enjoy their creations. Wine making programs are also offered, along with beer or wine making party reservations. 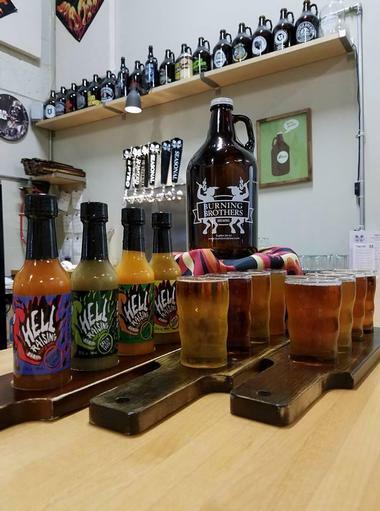 In addition to customer-crafted brews, visitors can also pick up to-go growlers of the company’s brews, which include its West 7th Amber Ale, Big Tex IPA, Cherry Stout, Walnut Brown Ale, and Tyga Bite Premium Beer. HammerHeart Brewing Co., Photo: HammerHeart Brewing Co.
Lake Superior Brewing Co., Photo: Lake Superior Brewing Co.
LTD Brewing Co., Photo: LTD Brewing Co.
Urban Growler Brewing Co., Photo: Urban Growler Brewing Co.
Vine Park Brewing Co., Photo: Vine Park Brewing Co.